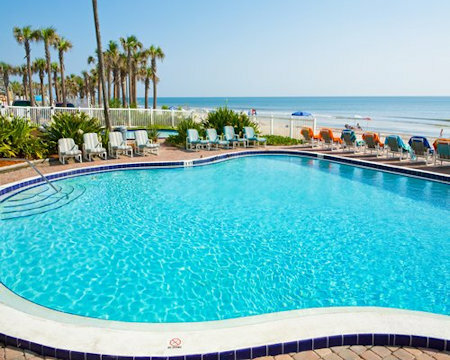 Buy a 7 Night Stay at Plantation Island in Ormond Beach, Florida! 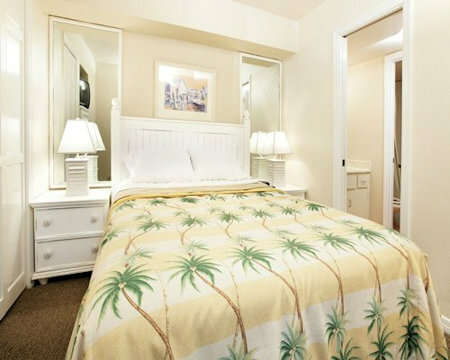 Plantation Island in Ormond Beach, Florida - Buy a 7 Night Stay in a 1 or 2 Bedroom Suite! 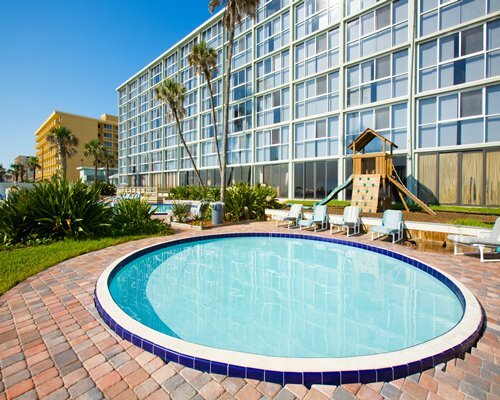 Enjoy 7 nights in a 1 or 2 Bedroom Suite at Plantation Island in Ormond Beach, Florida! Enjoy watching the sun rise over the Atlantic Ocean, unwind in one of the whirlpools, or take a refreshing swim in one of the two outdoor pools at Plantation Island. One pool overlooks the beach, and the other is set in a landscaped courtyard. 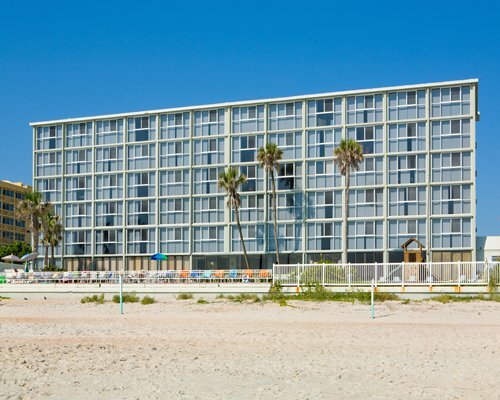 Play shuffleboard at the resort or enjoy golf, tennis, horseback riding and racquetball within five miles. A full time activities director is on staff to assist you. The wealth of the Orlando-area amusements is within a 90 minute drive. Your 1 Bedroom Suite will accommodate 4 people and comes with a full kitchen. Your 2 Bedroom Suite will accommodate 6 people and comes with a full kitchen. Saturday check-in units do not have an elevator. Pets are not allowed. Unit view not guaranteed. A credit card deposit is required at check-in.